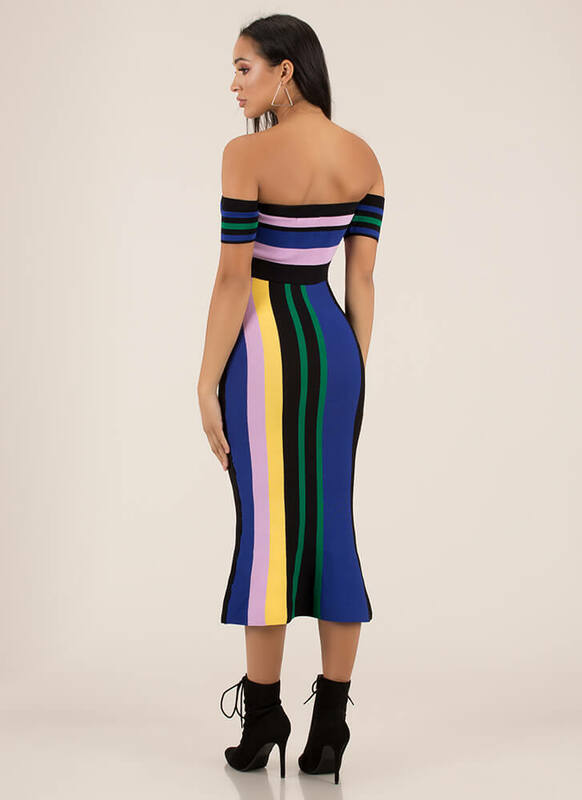 This dress deserves to be at the front of your fashion lineup. 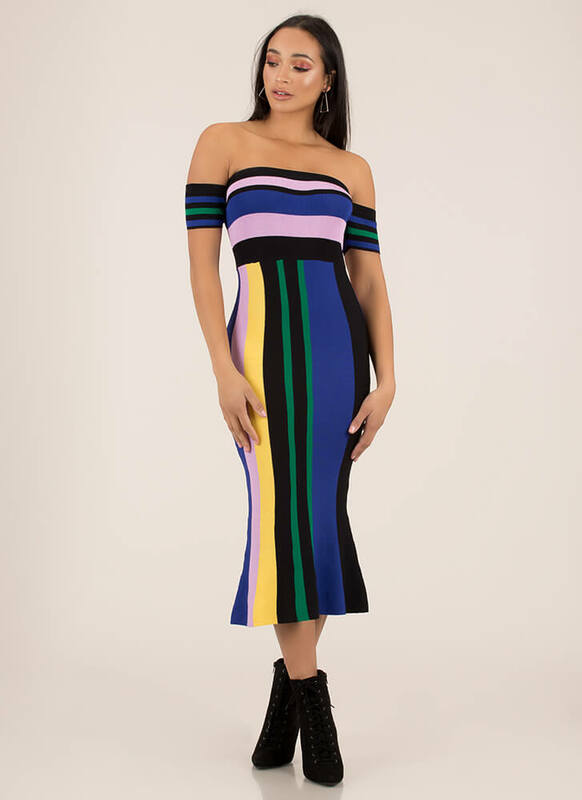 Stretchy, mid-length, off-the-shoulder midi dress features a bandage-like material, attached short sleeves, a fit-and-flare skirt, and a multi-colored striped design. No closures are included.